Updating your home or classroom for the season is half the fun of the holidays. Add to the enjoyment by letting your kids give you a hand with the decorating! 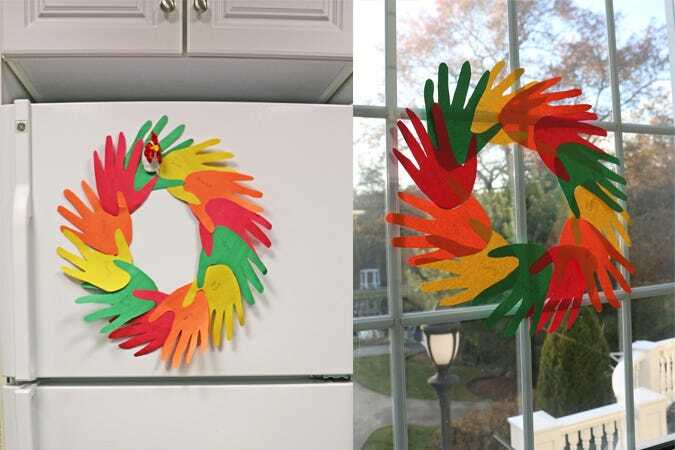 With this festive hand wreath craft, kids can give their own take on Thanksgiving decorations. Besides, it’s time to retire those handprint turkeys! This sit-down craft is fairly straightforward, but it’s guaranteed to keep kids busy. Much like our curled pumpkin craft (link to blog), this DIY hand wreath uses minimal materials and encourages kids to get creative—there is no right or wrong way to create one. 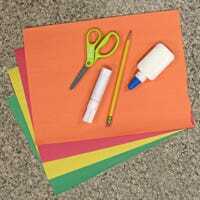 On various colors of the construction paper, trace the outside of your hand using a pen or pencil. Next, cut out the handprints using scissors. We used our Stanley Guppy™ 5" Kids Scissors, but any product from our scissor line will do! Repeat these two steps until you have enough paper hands to create a circle. We used 12 handprints to make ours, but smaller hands might need more cut-outs to create a larger sized wreath. Here is where creativity comes in! In assembling the design of the wreath, you can alternate or freely arrange the colors. What's most important is that each hand is slightly angled to create a round shape - wreath - in the end. To attach each paper handprint together, staple or glue them where they overlap. Once you have a fully assembled wreath, the options are endless! Add a bow to the top for a festive look or create paper leaves to give a classic illusion of nature. We listed everything we’re thankful for, which is great practice for young ones!